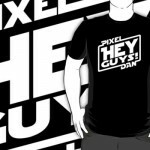 The official Pixel Dan Shop is now open on RedBubble! 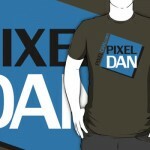 Here you can order a wide variety of t-shirts featuring official Pixel Dan designs! 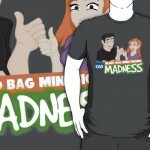 Available shirts include “It’s Comparison Time!” in multiple styles, “Hey Guys!,” Blind Bag Mini Figure Madness, The Videocade Commentaries, and even the official Pixel Dan logo! Each shirt features awesome artwork by many talented artists including Eamon O’Donoghue, Ryan Czaplinski, Brad Linford, and Dlyan Cook! There are many shirt styles available for both Men and Women, and there are also a variety of colors each shirt can be ordered in. And yes, we even have KIDS SIZES available! So what are you waiting for? 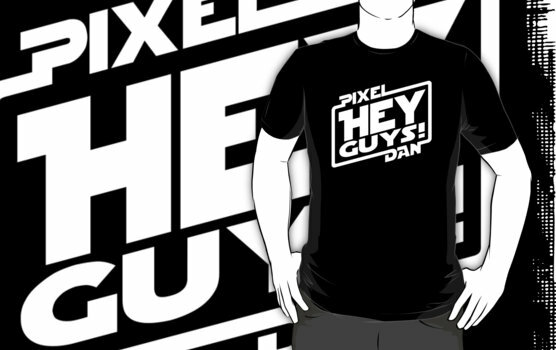 Head on over to the Pixel Dan Shop on RedBubble and order today! You can even use coupon code RBHOLIDAY15 through the holiday season to save 15% off your order! A: RedBubble is a print-to-order site that allows artists, designers, and creators to offer merchandise and sell their art on T-Shirts, stickers, and more. Q: $26 for a T-Shirt? That seems high. What’s up with that? 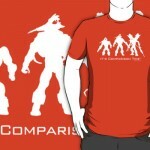 Q: Why don’t you use TeeFury or RiptApparel? Their shirts are only $10! A: I get this question a lot. 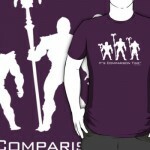 Sites like TeeFury, Ript, and other “shirt a day” sites don’t operate in that manner. It’s not a place I can set up a shop and sell $10 shirts. 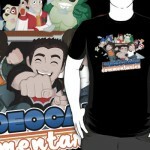 They hand pick specific art designs and sell shorts for only a 24 hour period. Every day is a different shirt. So my stuff is not a fit there, and just doesn’t fit that format. Q: Coupon codes are great! Will you keep us notified of those? A: YES! I want this stuff to be as cheap as possible for you. So any time I’m aware of a coupon code, I’ll do my best to share it here or on social media. Q: Why not print up a bunch of shirts and sell them yourself? It’d be cheaper. A: Cheaper prices, yes. But not cheaper for me up front. 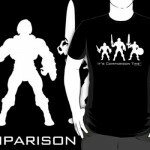 It would cost me quite a bit to print up a bunch of shirts to have them available for order. While that IS the ultimate goal, its just not something I can do at this moment. 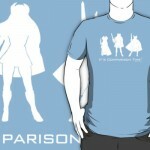 However, from time to time I do print up a batch of shirts to sell at places like SDCC. In those cases, I’ll always offer my leftover shirts online at lower prices to give folks a chance to get shirts at a lower cost.